LONDON — Moments after Gennady Golovkin's predictable insistence he wasn't scared of facing Kell Brook on Saturday, his British challenger betrayed his trepidation. "There is fear with me for this fight," Brook said Thursday. "But that will make me sharp on the night. Having fear is healthy." There has been much focus on Brook's health ahead of the clash of the undefeated champions when Golovkin's WBA, WBC and IBF middleweight titles will be on the line. Taking on the Kazakh at O2 Arena has required Brook (36-0) to step up two weight classes. Golovkin's trainer, Abel Sanchez, described it as a "10-week scientific experiment" and Brook's greater strength could impact his movement in the ring. "We have got the data from previous fights and we have kept the speed," Brook said. "We have also generated the power and strength and determination more." Preparing for the middleweight debut has not been easy on the welterweight champion — physically or mentally. "You're always on and off the scales, going to the toilet, jumping back on the scales, having something to eat on the scales," Brook said. "Mentally, for weeks on end, it's, 'I'm not going to make this weight.' It drains you over a long period of time." Since the 34-year-old Golovkin (35-0) has knocked out 32 opponents, Brook knows he has to "shock the world." He has already achieved that by recovering from being stabbed in the thigh on vacation in Tenerife two years ago — an attack requiring 60 stitches — to return to his sport and excel. "(Golovkin is) the most feared man in boxing," Brook said. "Fighters give titles up to avoid him." 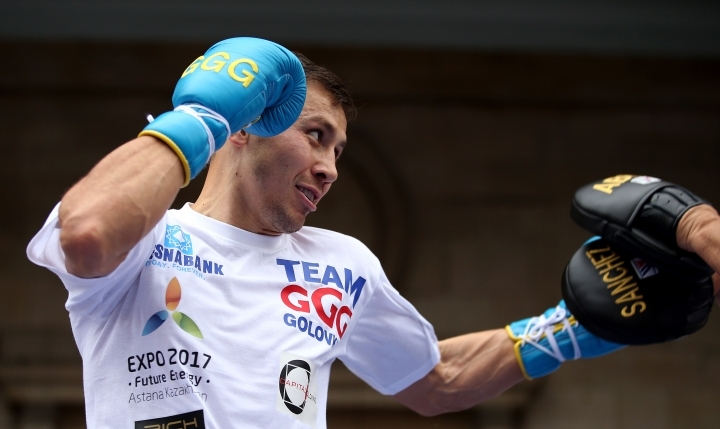 Golovkin is on the 30-year-old Brook's home soil to take up the challenge, marking the first time he has fought in Britain. 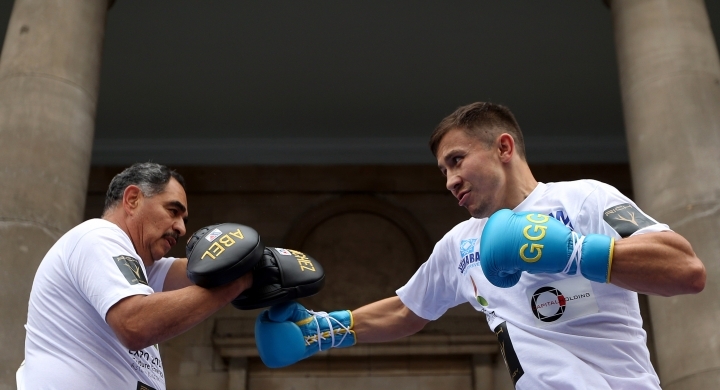 "I'm not scared," Golovkin said. "I respect my opponent because I understand the situation. He's very strong. He's a very good fighter."